A triumph against personal tragedy. The story of vocalist Melody Gardot is as remarkable as any who perseveres against personal tragedy. Born in New Jersey in 1985, she took up piano and played as a youngster on the nightclub scene of Philadelphia, influenced by jazz, folk, rock, and pop music. At age 19 she was a fashion student at the Community College of Philadelphia, however, on one fateful day while riding her bicycle, the driver of a Jeep made an illegal turn, careening into Gardot - and leaving her in the street for dead. While in her hospital bed, she wrote and recorded songs that would become the EP Some Lessons. 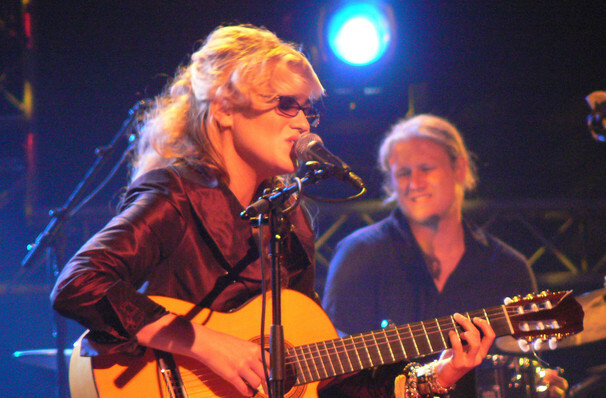 Upon her eventual release from intensive care, Gardot found the strength and determination to further her career as an artist. Her music could be described as a cross between Laura Nyro, Joni Mitchell, Eva Cassidy, and Shania Twain. Don't miss the inspiring artist live this summer when she heads to Montreal for one night only. Sound good to you? Share this page on social media and let your friends know about Melody Gardot at Salle Wilfrid Pelletier. Please note: All prices are listed in US Dollars (USD). The term Salle Wilfrid Pelletier and/or Melody Gardot as well as all associated graphics, logos, and/or other trademarks, tradenames or copyrights are the property of the Salle Wilfrid Pelletier and/or Melody Gardot and are used herein for factual descriptive purposes only. We are in no way associated with or authorized by the Salle Wilfrid Pelletier and/or Melody Gardot and neither that entity nor any of its affiliates have licensed or endorsed us to sell tickets, goods and or services in conjunction with their events.